Musson-Patout Automotive is proud to offer affordable pricing on GMC automotive services. Our team will work hard to ensure your vehicle runs smoothly. Our service department can tackle all of your auto maintenance needs. We offer an array of services such as oil changes, car battery charging, tune-ups, tire rotations, brake inspections, and more. From suspension service to transmission repair, you can rely on Musson-Patout Automotive to keep your GMC vehicle running to factory specifications. Why Rely On Musson-Patout Automotive? If you are looking for affordable auto repair near St. Martinville and Loreauville, head to the GMC service department at Musson-Patout Automotive. 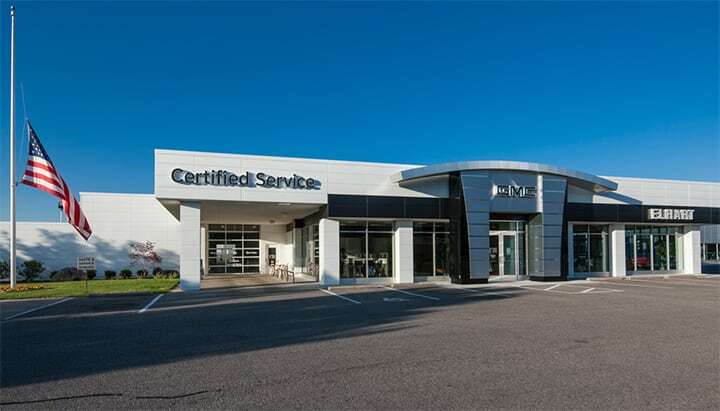 We boast a state-of-the-art service center and skilled technicians. Our dealership also likes to help maintain a low cost of maintenance. When you make your appointment, be sure to browse our selection of service coupons and parts specials. After you schedule your service appointment, we'll follow up with you to confirm. During your confirmation call, we can review the estimate for repairs, answer any questions you have, and go over any specifics you have regarding your repair. Keep your engine in your vehicle properly lubricated with one of our affordable oil changes. Regular oil changes help remove harmful dirt and particles from your engine. Motor oil also reduces friction between the moving parts of your engine and maintains correct running temperatures. Neglecting oil changes can have serious consequences. Take advantage of our synthetic oil change coupons and filter replacements. Contact our service department to learn more about the oil services at your local auto dealer in New Iberia, LA. When you need new car tires in New Iberia, contact the service department at Musson-Patout Automotive. We carry new tires for sale from top tire brands. Our certified automotive technicians will mount, balance, and inflate your tires to the correct psi. Our service technicians can also perform a wheel and tire alignment inspection. During your tire inspection, our GMC auto mechanics will inspect your brakes, tie rods, and suspension bushings to ensure the safe handling of your vehicle. Tires are what secure your vehicle to the road. Be sure you don't overlook their care. Schedule tire services near St. Martinville and Loreauville and enjoy your vehicle for miles to come. The brakes on your GMC vehicle are an essential safety system. Bring your car or truck to a service department you can rely on. Come to Musson-Patout Automotive for brake services today. We offer a state-of-the-art service center that can handle all your brake job needs. For new pads, rotors, calipers, brake boosters or master cylinder repairs, trust the team at your local New Iberia auto dealer. If you are experiencing squishy or spongy brakes, don't delay your brake repair. Trust that your vehicle will stop when you need it to. Speak to the service team at our brake service center. If you have ever experienced a dead battery in your vehicle, you know how inconvenient it can be. Thankfully, there's the service team at Musson-Patout Automotive. Our service technicians can help preserve the battery life in your vehicle and ensure you aren't left stranded in a car that won't start. Come to our service center in New Iberia, Louisiana for a quick battery test. During your inspection, our team will test your car battery for correct voltage, as well as any damage or corrosion to the posts, terminals, and cables. If your battery is expired or beyond its warranty, we can suggest quality replacement options. We carry new car batteries for sale from top manufacturers. Contact us to learn more about our battery services. Here at Musson-Patout Automotive, we are proud to support our local community. The people of New Iberia, LA have helped our new and used car dealership to grow and thrive. We thank you for your continued support. It is our privilege to provide auto repair and parts specials near St. Martinville and Loreauville. Our team of certified automotive technicians is here to maintain your GMC vehicle to factory standards. Call us now or schedule your auto repair online and discover the helpful team at Musson-Patout Automotive.